We all know that in today’s modern often “hipster” world of food and beverage everyone is trying to find that elusive key that makes them relevant. One such company that has done this recently is good old Maccas ! 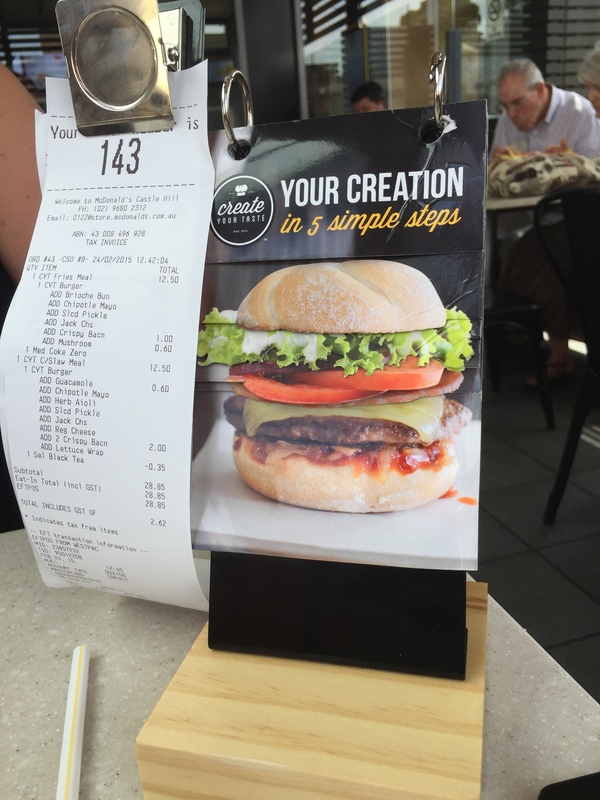 In October 2014 McDonald’s Australia announced that it would embark on a complete step change and offer the Create Your Taste concept to its large and loyal customer base. 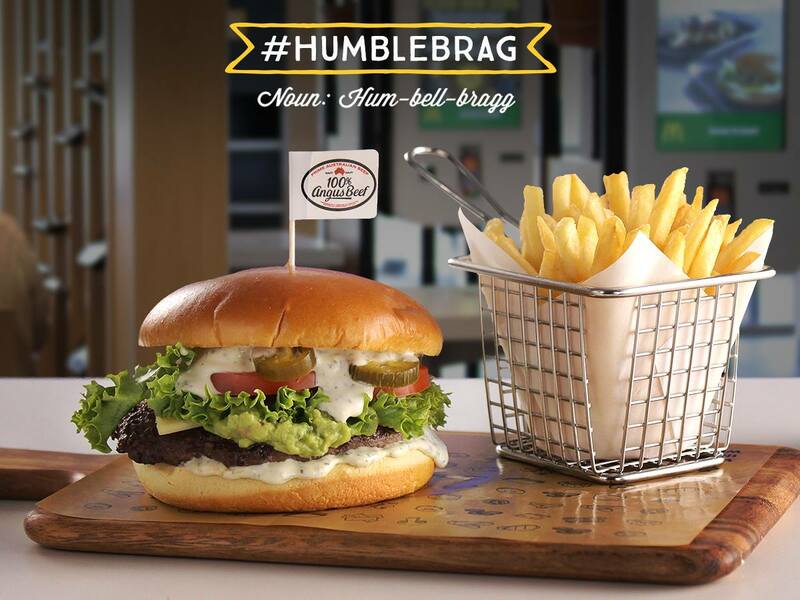 The move / gamble would see the burger giant roll out this new and sometimes confusing platform to its 900+ stores across the country. My first experience with Create Your Taste or CYT was at the first pilot restaurant in Castle Hill NSW. Upon entering the restaurant i was greeted with a buzz and excitement in the air as there seemed to be more than just the usual 14 year old kids. McDonald’s had clearly invested a lot of time and money in this venture and the head honcho’s in suits were clearly visible. Another point to make is that this didn’t feel like the Maccas that i was used to, from the digital menu boards, modern decor, to the touch screen kiosk an effort had been made here. So now i’m at the touch screen kiosk ready to start my order. First of all you are presented with either creating your own burger or choosing from the pre set builds using the new premium ingredients along with some old favourites. Now for the burger! I decided to go with the bunless option with meat, long pickles, guacamole, chipotle mayo, american bacon and colby cheese (barley scratching the surface). I also ordered a side of coleslaw and a “craft soda”. Once my order was paid i was directed to take a seat and a buzzer by the kiosk and that my order would be delivered to my table. After around 10 minutes my order came out and was delivered by a friendly and charming waitress. The meal was served on a wooden board, coleslaw in tow and my “craft soda”. The overall taste of the burger was very good. The meat was hot and fresh and i could definitely tell that it had been cooked especially for my order as opposed to waiting in a heated cabinet. The American bacon or crispy bacon as listed on the kiosk screen was amazing! I had only tasted this bacon in America once or twice but i was relishing in the fact that my local Maccas now had this as an option. Chipotle has always been a favourite of mine and the chipotle mayo on my custom creation was no expection. It had the creaminess of the mayo and the typical smoky and some what spicy flavour that is associated with chipotle. Based on the flavour and the look of the ingredients it was clear that Maccas had done their research. I also was amazed that there is now a bunless offering, this is already common practice in the US among burger chains but new to such a large chain in Australia. 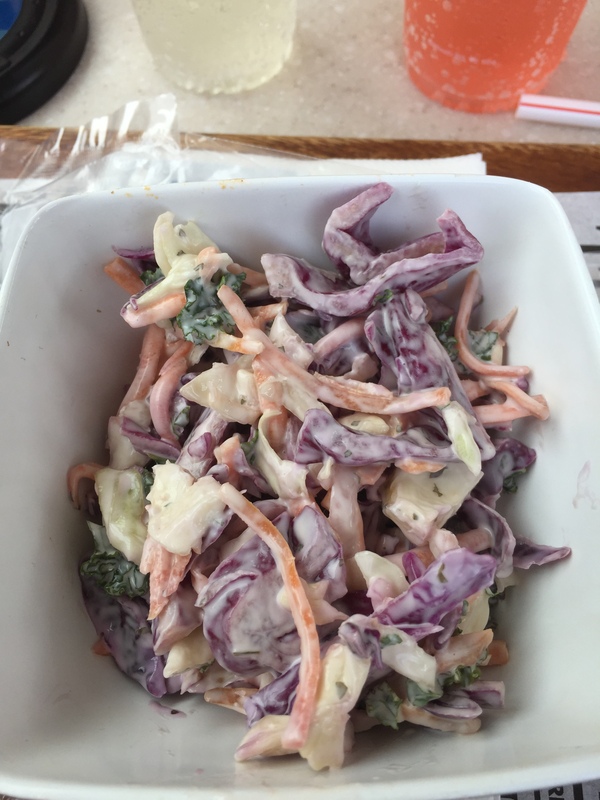 I moved onto my coleslaw which unlike the burger was a let down. The slaw didn’t have enough dressing and had a bitter taste and flavour. Now what i don’t know is did i get my slaw as the head honchos intended, or was i served some random mistake made by the 14 year old “chef” in the kitchen. The last companion to my meal was the “craft soda” now i use the quotations for “craft soda” as i don’t really think they can call it a “craft” offering, can they? 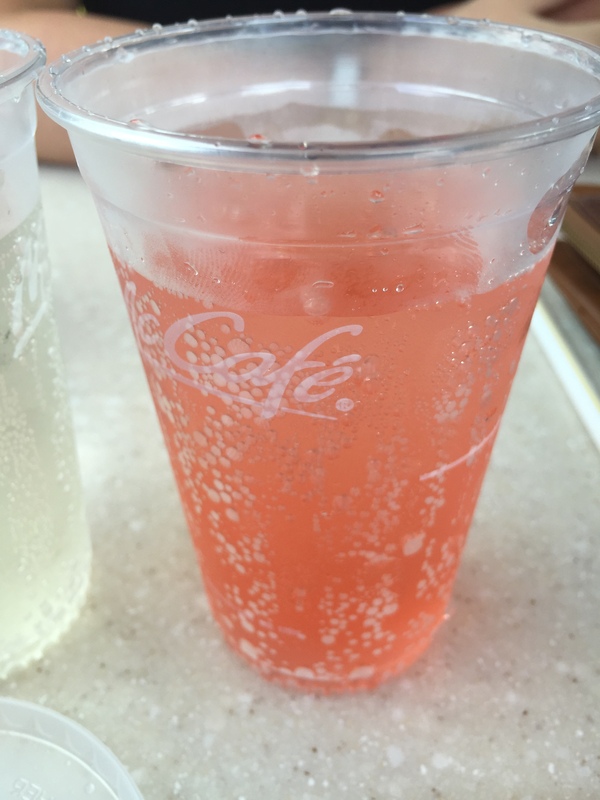 The basic makeup of this beverage is a flavoured syrup with sprite served in a cup with ice. Three flavours are up for grabs, on this visit i tried the apple and elderflower and the lemon lime bitters leaving the ginger beer for this time. Now above i took a stab at this drink not being “craft” as named in the store, but it was really good! 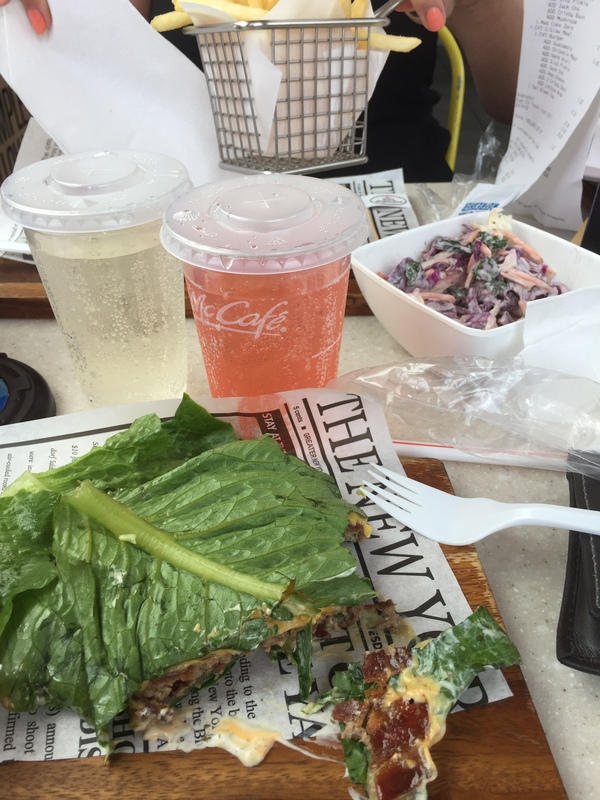 The flavour was as expected, sweet, refreshing and very un-mcdonalds (marketing tagline). Overall i think Maccas are on the right path, the above is delivered to your table for a price, now when it comes to price the complete meal was around $15. This may seem expensive when you compare it the other value propositions in store but compared to the rest of the market it’s not too bad on the value front. You get what you pay for, and what you pay for with the CYT menu is comparable to the end result. For example Grill’d offer just the burger for around $13-$15 with no drinks or chips. I will definitely be trying the CYT menu again or at least using the kiosk on my next ( too often ) visits. Give it a go and let me know in the comments how it went and what you thought. Well we don’t have this in the US yet, but I would love to try one. We have moved on from McD’s for lots of reasons, but stuff like this would bring everyone back–even the hipsters, who are all broke. I hope they didn’t change the fries, because those were legends. Thanks for this post. You’re a legend.